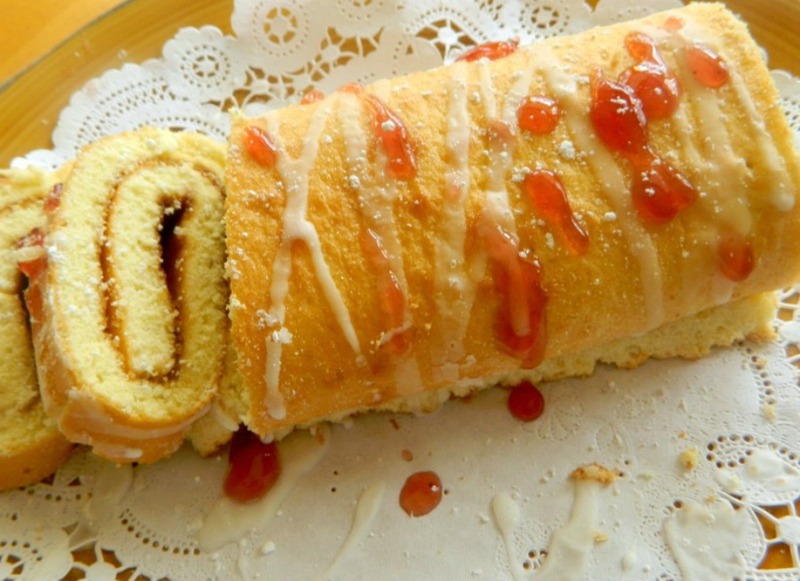 Elegant and light Swiss Roll Cake – This is a very easy recipe to follow and looks like it would take forever to make. Looks and tastes divine. A showstopper for any dessert table. 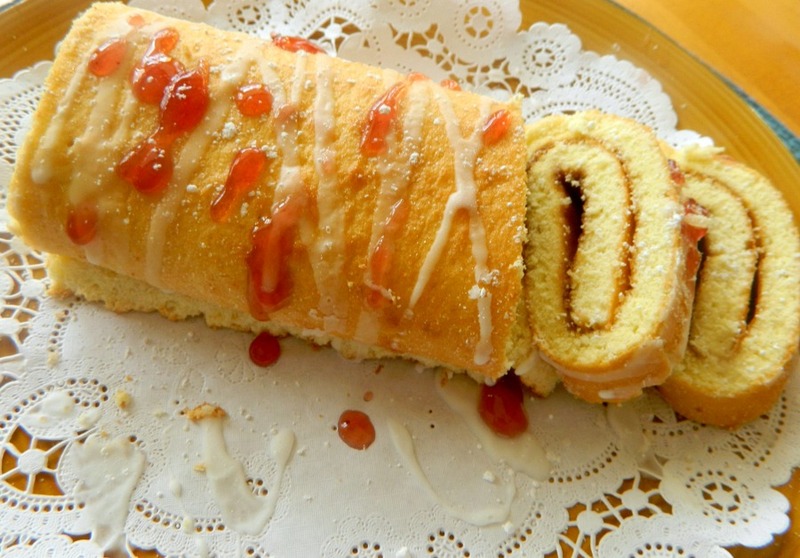 Bake one up and enjoy! This is a very lovely cake that you can serve at a dinner party for a beautiful presentation or a weeknight dessert for the family. Believe it or not, this light and airy cake does not take that long to make. No one will know but you how simple this recipe is. Tastes just divine. 1-2 tbsp milk, more or less, to make easy to pour over cake. Place on a pretty platter. Slice, serve with fresh fruit, whipped cream or plain is just perfect.